There is something extremely captivating about the cinematic arts in the way they engage your senses. You stare at the screen in wonder, thinking how you would have directed a scene or how you would have played the character, losing yourself in another world and living another story. In one of the initial shots in The Artist, you see a whole orchestra in front of a projection screen, playing their notes in tandem with what’s happening on screen to imply and amplify every action and leave an indelible impression on the audience. The scene left me lamenting that I wasn’t even born in that age to have been able to see something like that in its prime. The Artist, directed by Michel Hazavanicius, is a silent film that ironically talks about the edging out of a Hollywood superstar, George Valentin (Jean Dujardin) by the coming of the talkies. George, who clearly loves the limelight and doesn’t squander an opportunity to please his multitude of fans, thinks dialogue in films will just be a passing fad. But the talkies weave their magic and the phenomenon captures the fancy of the people. George is proved wrong. The film goes on to show George’s losses, material and psychological, over the next four years as he clings to his superstar ego and tries to win back recognition and support from his audience. He puts everything at stake. He turns away the few who choose to keep him company in his misery. He is unsure if his newfound anonymity is good or depressing. The absence of spotlights pushes him deeper down a dark hole of abject despair, while he hangs on desperately to what he deems his dearest asset – his self-respect. One particular scene where George dreams of regular sounds and noises taking over his own silence – wonderfully acted out – stays in the mind. The film shows how time will always topple from the throne those who reign supreme in their world, how fame is an elusive mistress and how accepting change is instrumental to finding a refreshed persona hidden behind your own idea of you. While The Artist is clearly a tribute to Hollywood’s glorious past, it doesn’t fail to show the dark side of show business. The studio abandons its golden egg-laying hen the moment the golden hen arrives in the form of Peppy Miller (Berenice Bejo). And as today’s rule dictates, it held even then that a film star is only as popular as his last release. Possibly, the pro and anti lobbies on 3D cinema may be going through now what technicians and actors were going through in the late 1920’s, when voice and dialogue was introduced in films. Much of the movie’s charm comes from fact that it is a silent film in black and white, possibly the first of its kind that a lot of people will watch. The film was also shot in colour for possible release in certain markets, but its popularity has allowed the producers to not do thus. To have conceptualised and executed an idea that has become such a novelty for film lovers is a feat in itself. The numerous awards from Cannes and Golden Globe to the Oscars are quite justified. 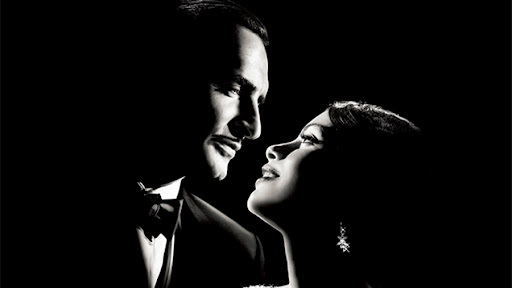 The Artist is a treat to watch and ensures that your interest doesn’t wander away from the screen for a single moment. 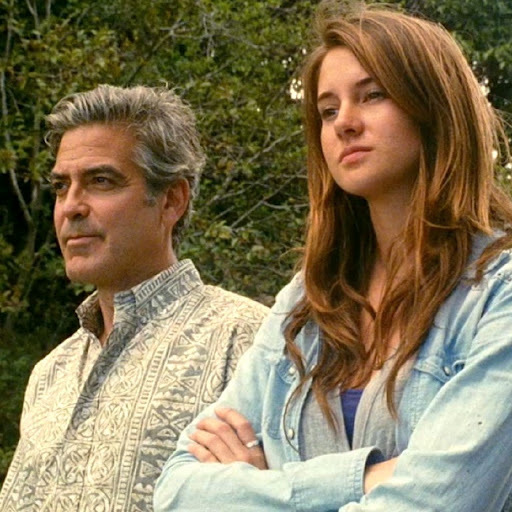 The Descendants is a simple story, where if you were to put yourself in the shoes of the protagonist Matt King (George Clooney), you would feel anxious and scared about your world that seems to be collapsing. It is about a man trying hard to hold the pieces of his world in place with a smile and with dignity, while seeing sides of him that he never knew existed. Set in Hawaii, the narrative takes off with Matt telling us about his wife Elizabeth’s speedboat accident which has left her comatose. For the last 15 days, he has been surrounded by medical bills and hospital paraphernalia, and he has been handling two daughters, 17-year old Alex (Shailene Woodley) and 10-year old Scottie (Amara Miller), who can be quite a handful and are picking up quite a mouthful. He confesses he has never really been around for them, and he has no clue about what to do now. The vast ancestral land bequeathed to his extended family, of which he is the sole trustee, has to be sold off and his cousins are eagerly waiting for their share of money. To top it all, Alex informs him of the reason she and Elizabeth had their last unforgiveable altercation, which shakes Matt and brings his world to a standstill. The plot then follows Matt as he bonds with his daughters (over big bowlfuls of ice cream), informs friends and relatives of his wife’s impending death, and goes through a personal journey discovering facets of anger, jealousy, restraint and competitiveness and the preservation of his self-respect and dignity; feelings that he had not experienced so deeply before. Helped by Alex and their mutual concern and love for Scottie, they grow to trust each other and just be there to make life comfortable and as easy for each other as they can. The treatment of Matt’s desperate need to know if he had become insignificant in his wife’s life is particularly wonderful and makes his attempts to be a good father quite believable. Director Alexander Payne‘s (About Schmidt, Sideways) The Descendants is a close look at real families, where humour and light moments make appearances even during troubled times, and act as the impetus to seeking positive ways to deal with them. Woodley is a gifted actor who plays wonderfully off Clooney’s relative reticence with her still-maturing adulthood and the bit of drama that girls her character’s age are prone to. A scene to remember would be when Alex stands up for Matt as their maternal grandfather blames him for Elizabeth’s unhappy life, and death – Matt stays quiet to not ruin their daughter’s memory for them, but his daughter takes charge of the moment when her protective instincts kick in. Similarly, the way her concern for Scottie’s well-being prompts her to convince her baby sister to stop interacting with an annoying classmate is hilarious. The film is not just a satirical take on American society or about the beautiful Hawaiian setting. It is about the tumultous phase in a man’s life and his personal struggle to overcome the ill-feelings that threaten his happiness and his faith in himself – the phase being marked by perfectly defined moments of Matt’s recognition of how important Elizabeth was to him and the resolution of his anger, anxiety, indecisiveness and resumption of a normal life with Alex and Scottie. He wants to be capable, to be accepted and to be at peace with himself, which he succeeds in finding at the end of this phase. The script adapted from Kaui Hart Hemmings‘ book of the same name is backed by strong supporting performances by Matthew Lillard, Judy Greer, Nik Krause and Robert Forster among others who add value to the film. The editing and cinematography are effective in keeping the film well-paced and in setting the mood, which is light yet deep and introspective. It is no doubt then that the film has been nominated for five Oscars. It is a must-watch and it stays with you long afterwards, making you smile.